Until recently I used to think that going out to Singapore’s cultural spots like Chinatown, Little India, Kampong Glam and other tourist attractions were pretty pointless. Well, who can forget their multiple outings to these places when studying in primary and secondary school? As locals we think we’ve seen everything there is to see in Chinatown already, right? Wrong! 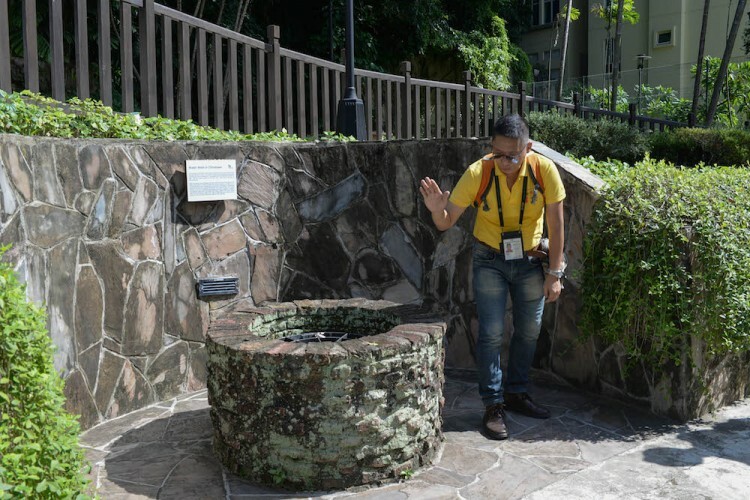 There are plenty of things that even locals can discover there, especially if you follow informative tour guides who can give more insight into the history of the places. 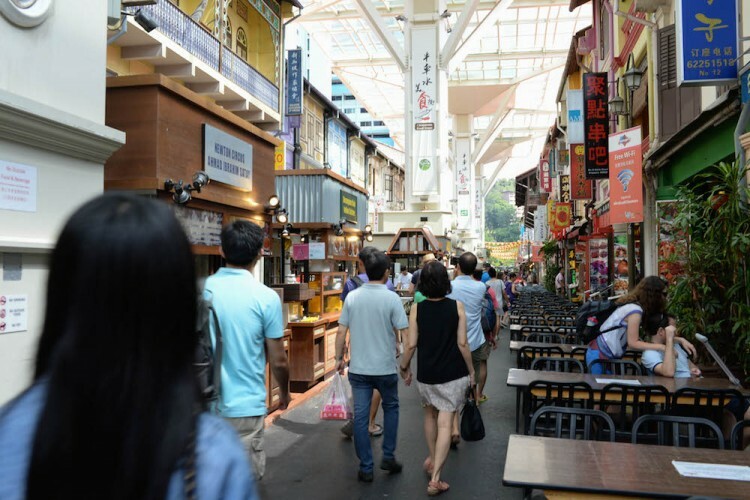 Here’s some places to check out in Singapore’s Chinatown, all within walking distance of each other. So apparently the believe is that you will never go hungry if you rub the tummy of this golden statue along Sago Lane! The Laughing Buddha is often called such due to the wide smile on his face usually depicted on the statues. 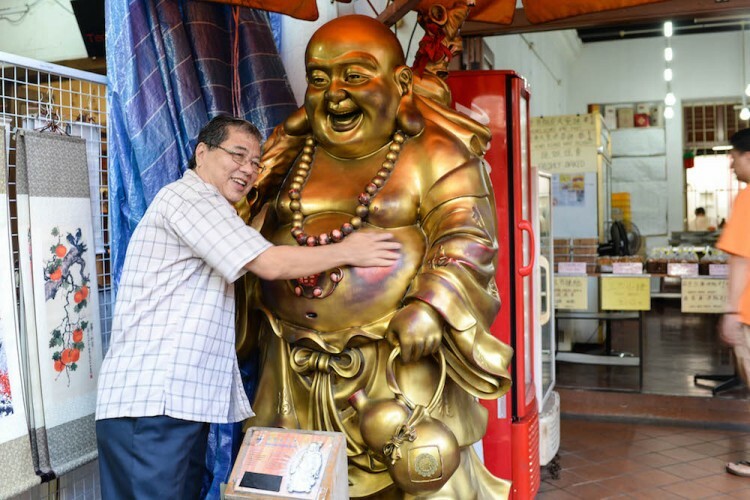 I do not particularly believe in the superstition, but it felt mysteriously satisfying to give his huge belly a good rub before I let my attention wander to the shops and the carts on the street. On the same lane there however, lies a deeper and darker side of Chinatown. 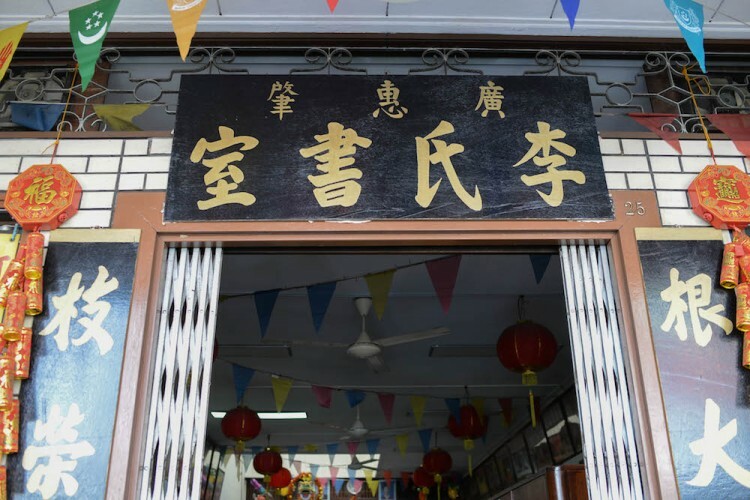 While I will not bore you with details, one surprising thing I learnt about was that Sago Lane used to be a row of Chinese funeral parlours or death houses for a period of time in the past. Everyday, funeral rites would be performed in front of the respective shops, sometimes with bodies lying around in an appalling state of decomposition due to the lack or organisation of the shops. Needless to say the death houses were soon outlawed and regular shops were built there soon after. 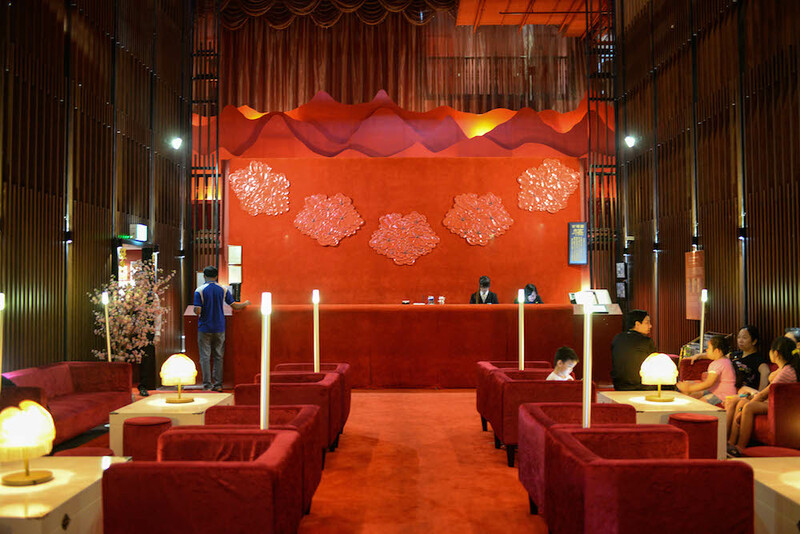 Who would have thought this grand hotel would be an opera house in the past? Chinese Opera used to be wildly popular in the past, as entertainment, for storytelling, and even a means to secretly communicate ideas that went against the ruler or the government. In this very same hotel used to be a place for secret societies to meet up and negotiate as well. It was the most popular Chinese opera theatre in Singapore back then as it was quite the central place, so it’s no wonder people gather there. After digital movies rolled in though, operas died and the place became abandoned, until the government asked for a private tender to revive the building. This probably does not come as an attraction to locals, but it may be well worth to stop and look at this dying trade. 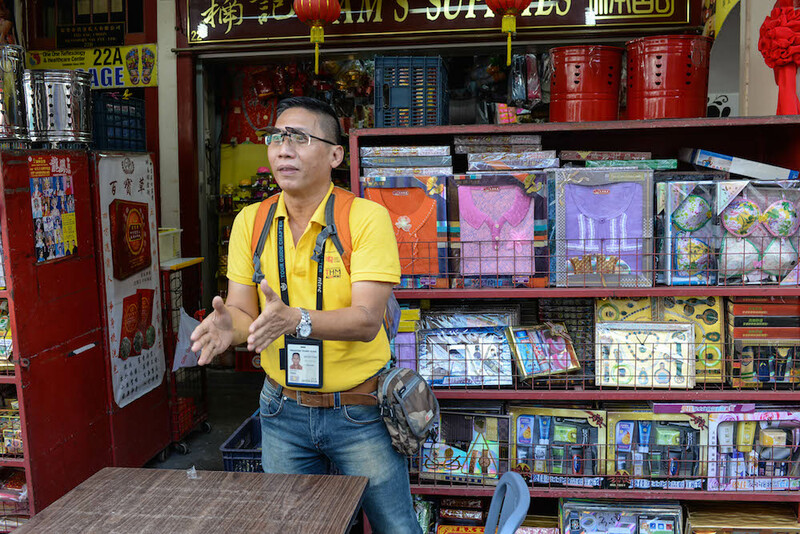 Nam’s Supplies sell paper money and paper models that are burnt as offerings to the dead, which the Chinese use to honour their deceased loved ones during the Qingming festival, or the Tomb Sweeping day. The Thye Shan Medical Hall is one of the oldest Traditional Chinese Medicine (TCM) shops in the area, having opened in 1955. 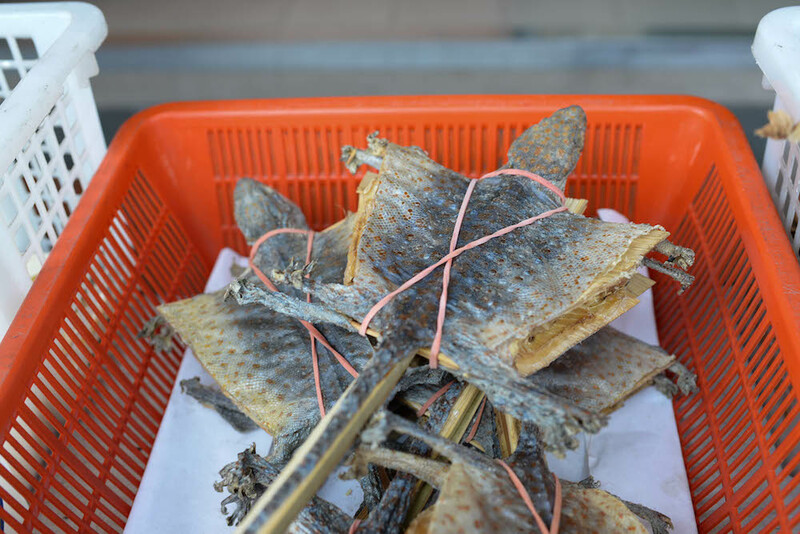 Spot unusual herbs like cordyceps, bird’s nest, Lingzhi and even dried flying squirrels (WHAT?!) 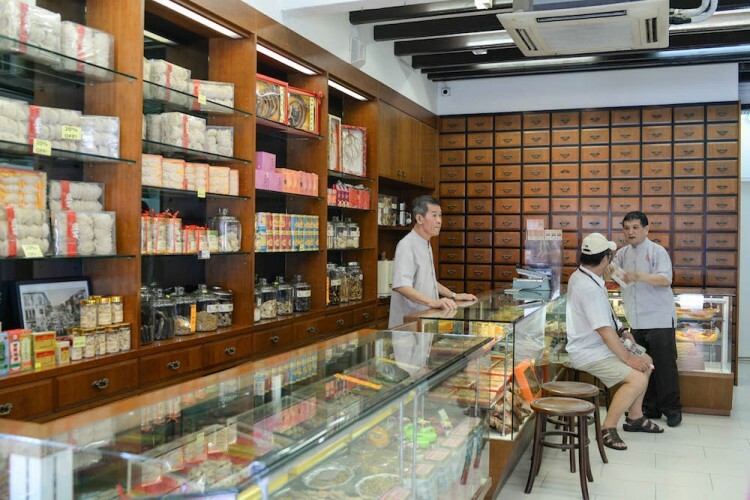 at both of these TCM stores that sell traditional Chinese medicinal herbs and ingredients. Tell the owner what ailments you have and he’ll whip up a concoction to improve your health. In the past when immigrants arrived in Singapore many of them found that they had nowhere to go and decided to set up clan houses, which were classified by dialect, trade, or in this case, surname (which implies they came from a similar lineage or province). These places aimed to provide assistance to immigrants, especially businessmen and workers who came to the country alone. It was almost like finding a family in a foreign place, because you would share similar surnames and even dialects in the same clan. Sadly, clan houses have mostly closed or moved away from the area, thanks to rising costs of land. 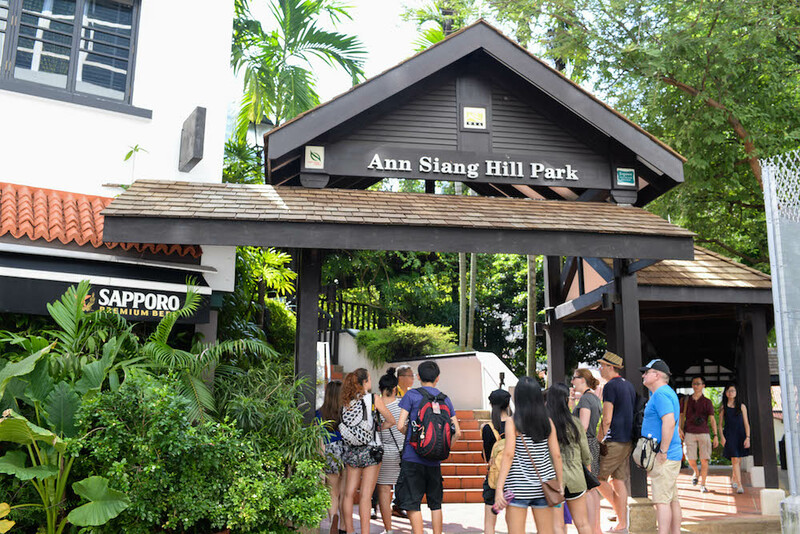 Ann Siang Hill is a popular hangout for those looking for restaurants and bars, but in the past, it used to be a spice hill. On it grew nutmeg, cloves, cinnamon and more! In fact, there are still a couple of cinnamon trees around, which you can spot on the red-lined walkway after entering from the Ann Siang Hill Park entrance at Ann Siang road. Spice trade used to be very popular, and the hill was renamed many times by its respective buyers, until Chia Ann Siang came to own it. You can also see the last remaining water well in Singapore here, from which water was drawn and transported by bullock carts. 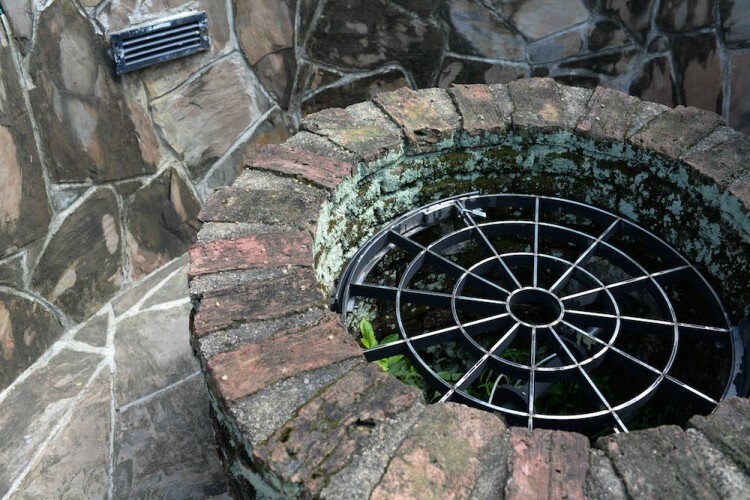 This was, of course long before we had faucets and taps. I do feel so thankful that all I have to do is to is to walk to the kitchen or bathroom, and turn a knob to get clean water. 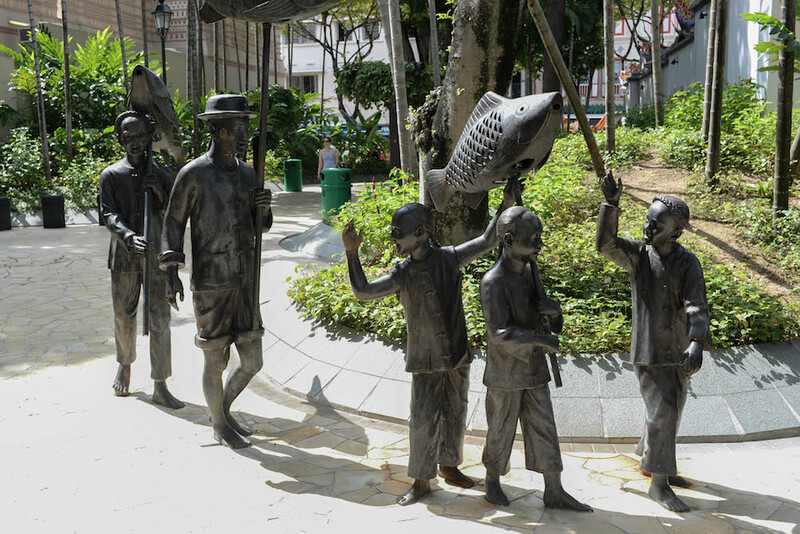 Between Telok Ayer Street and Amoy Street is this small park where you can see sets of sculptures, which depict the way of life in the early days of Singapore. 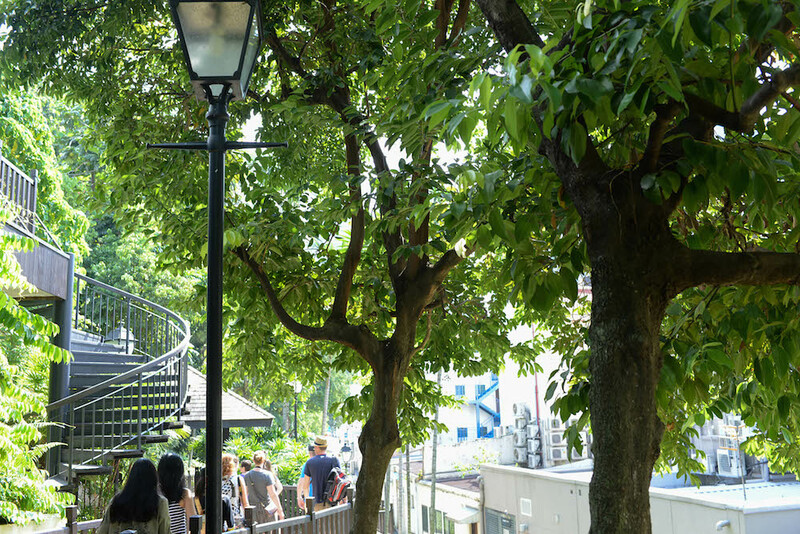 Check out the Chinese lantern procession, Indian milk traders and the sampan figurines while taking a leisurely walk in that park. Having visited this temple in my secondary school days, I actually remember one very interesting fact that stuck with me since then – that it was built without any nails! This is an attribute of the temple’s unique South Chinese architectural style, which makes use of natural joints. 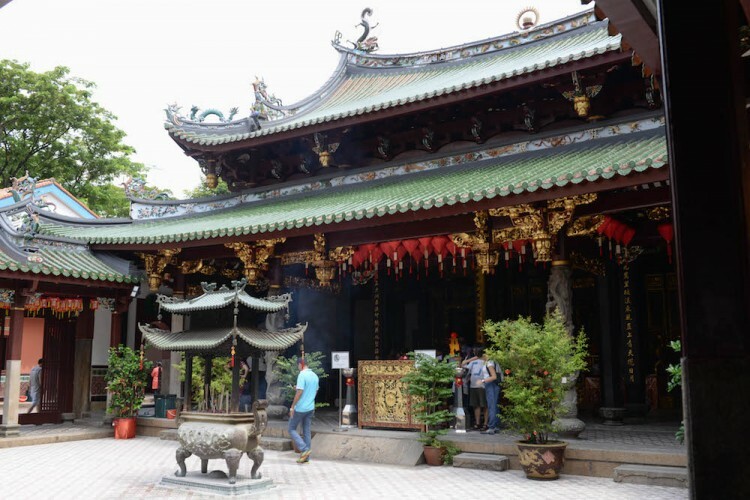 Find out more about the stories of the temple and its deities when you visit! One defining thing about Singaporeans is that we love our food. Chicken rice, laksa, chilli crab, bak kut teh, etcetra. So what better way to end off the tour at the Chinatown Food Street? 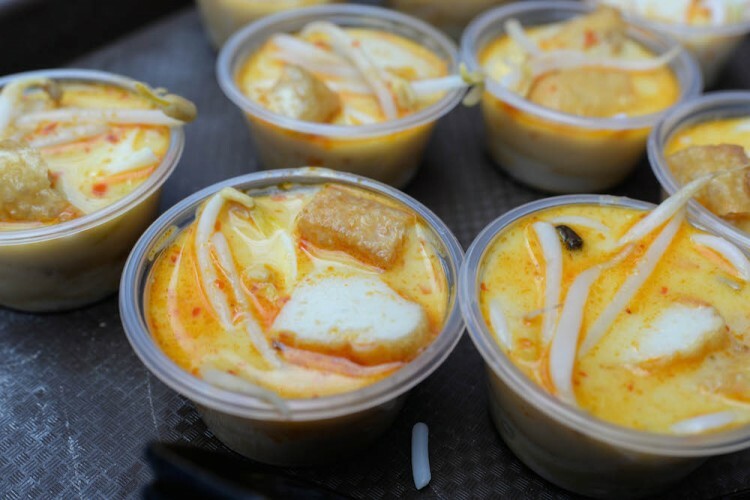 Here you can choose from a variety of famous local dishes and beverages, and fill yourself up after visiting the listed eight places of interest. The best way to rediscover Singapore is to go with a guide, who can give you even more background and knowledge to each place. 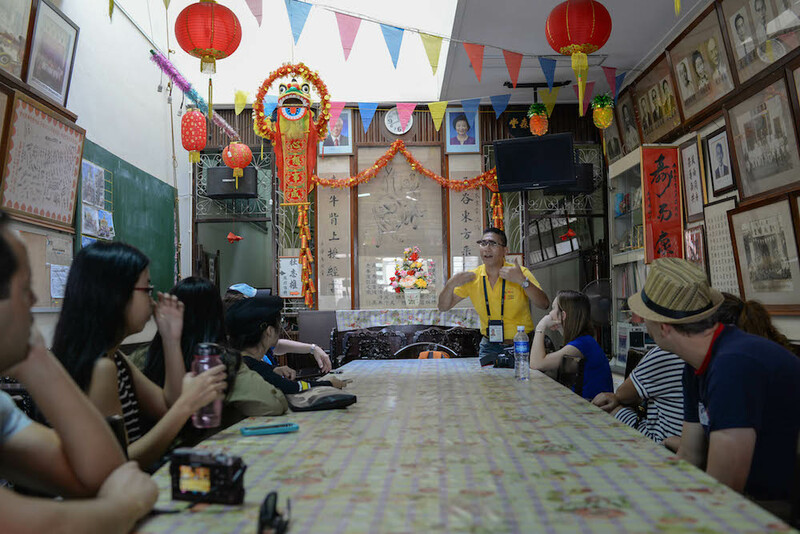 This tour is actually titled “Footsteps of Our Forefathers”, and is a community project in the form of a collaboration among the Chinatown Business Association, Singapore Footprints, Walks of Our Life and Nanyang Business School’s tourism and hospitality club. I truly learnt things I had never heard of during this short two-hour tour, and it was a nice sort of exercise walking round the entire route on foot. I even got to sample small portions of laksa at the end! The best part? Yes, the tour is free of charge! I am a sucker for free things, so this is a plus for me. 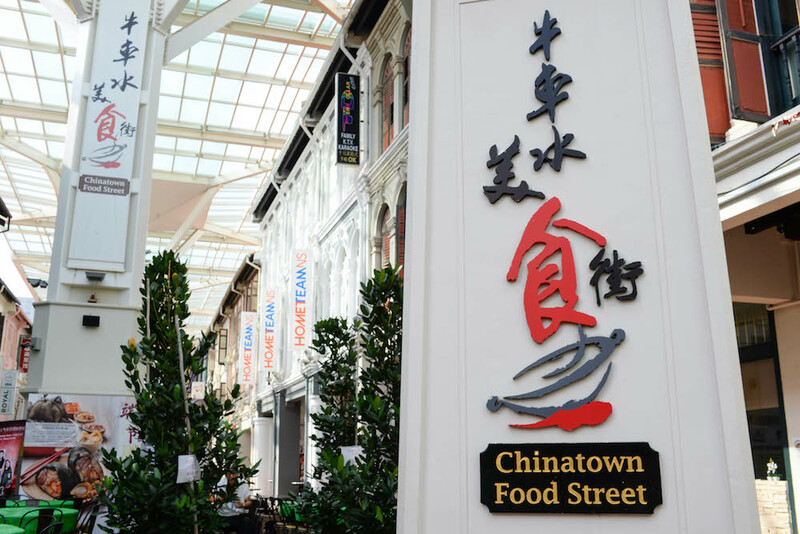 It happens each week on Saturdays at 9.30am and begins right outside Chinatown Visitor Centre. There are limited slots available, so sign up quickly to avoid disappointment. 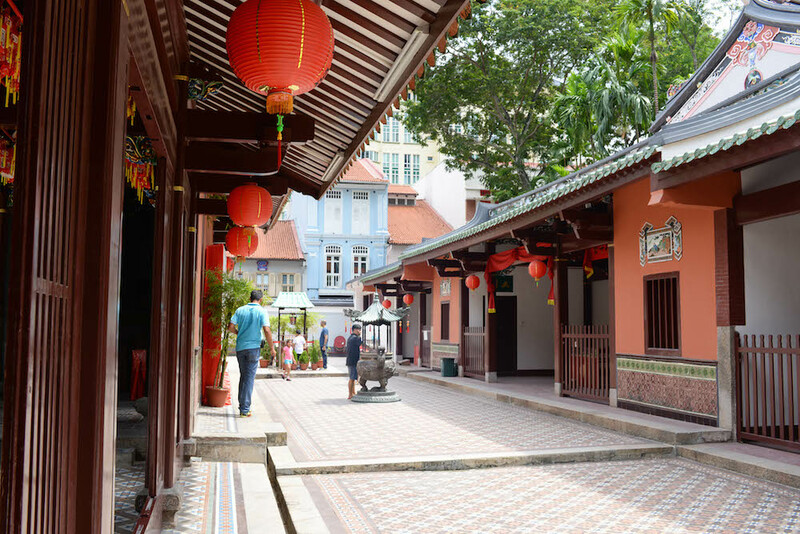 All that is left is to pack your bags, lace up your shoes and get ready to discover Chinatown!